Article Objective: Many people with ocular rosacea experience chronic ocular inflammation, irritation, hyper-reactivity and severe dryness which makes it difficult to wear any form of contact lens to normalize visual acuity (20/20 vision is a term used to express normal visual acuity (the clarity or sharpness of vision) measured at a distance of 20 feet). This article will discuss ocular rosacea symptoms, followed by information about laser procedures and their safety for people with ocular rosacea. The laser procedures include, LASIK Eye Surgery, epiLasik surgery and Lasek surgery are three exciting options for rosacea sufferers with moderate-to-severe ocular rosacea with vision disturbances. We will review the pros and cons of this surgery and list the potential side effects. We will also discuss other treatment options for rosacea sufferers with cornea complications. Finally, we will discuss important pre-operative and post-operative treatments that ocular rosacea sufferers should follow to ensure the best surgical outcome. 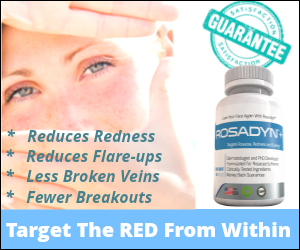 According to a large National Rosacea Survey taken last year more than half of the rosacea sufferers polled had active ocular rosacea symptoms. The physicians who performed the survey emphasized that this number is probably much higher because many rosacea sufferers do not know the tell-tale signs of ocular rosacea or incorrectly assume they just suffer from allergies, dry-eye syndrome or blurred vision. Below is a list of the most common ocular rosacea symptoms. Many rosacea sufferers are now looking into LASIK Eye Surgery because the chronic ocular inflammation, irritation, hyper-reactivity and severe dryness make it difficult to wear any form of contact lens. These rosacea sufferers want to know if LASIK Eye Surgery is safe. There are many inquiries regarding this surgery on rosacea forums but most of the information supplied is medically inaccurate or fails to warn certain rosacea sufferers, especially those with cornea complications, about possible side effects. Rosacea sufferers should also be educated on other forms of laser surgeries that may be better options. 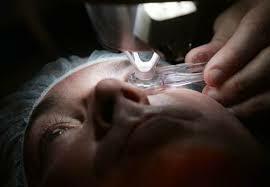 LASIK is a surgical procedure that uses a laser to correct nearsightedness, farsightedness, and/or astigmatism. In LASIK, a thin flap in the cornea is created using either a microkeratome blade or a femtosecond laser. The surgeon folds back the flap, then removes some corneal tissue underneath using an excimer laser. The flap is then laid back in place, covering the area where the corneal tissue was removed. With nearsighted people, the goal of LASIK is to flatten the too-steep cornea; with farsighted people, a steeper cornea is desired. LASIK can also correct astigmatism by smoothing an irregular cornea into a more normal shape. If you are considering LASIK eye surgery, your first step is to choose a good LASIK surgeon who can evaluate whether LASIK is right for you. Your LASIK surgeon will examine your eyes to determine their health, what kind of vision correction you need, and how much laser ablation (corneal tissue removal) is required. 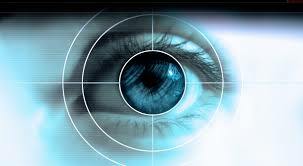 The doctor will also ask about any health conditions that may disqualify you altogether for LASIK surgery. If you are not a candidate for LASIK, you may qualify for another laser eye surgery such as PRK (similar to LASIK but without the flap), LASEK, or epi-LASIK. There are also non-laser vision correction procedures. Your prescription and eye structure will be considered to help determine which procedure is best for you. It works in almost all cases. It corrects vision. Around 96% of patients will have their desired vision after LASIK. An enhancement can further increase this number. Is LASIK Eye Surgery Safe For Ocular Rosacea Sufferers? LASIK Surgery is a safe option for most ocular rosacea sufferers and has a safety record of nearly 15 years with very few side effects reported by rosacea sufferers. The two primary side effects that might worsen after surgery include dryness of the eye and inflammation of the eye surface. These are usually low-grade and transient but can be treated successfully with prescription eye drops such as Restasis and oral doxycycline. LASIK eye surgery is an excellent option for rosacea sufferers looking to restore their vision and put away their contact lenses. It should be emphasized that rosacea sufferers with thin corneas, corneal abrasions or corneal melting may not be candidates for LASIK surgery. If this is the case they still may have other surgical options such as PRK (similar to LASIK but without the flap), LASEK, or epi-LASIK. If you fall into this category it would be wise to consult with a corneal specialist in addition to your ophthalmologist to gather as much information on the treatment options best suited for your case and a list of potential side effects for each surgical option. Do you have ocular rosacea with vision problems? If so, do you have difficulty wearing contact lenses due to irritation? Have you tried LASIK Eye Surgery, and if so, what were your results?